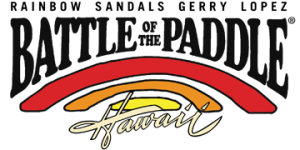 The Battle of the Paddle Long Distance race was held Sunday, 15th May, 2011. After a super tough Elite Race on the Saturday, the “Hawaii Kai run” was the second chance for the world’s best paddlers to show what they were made of. Danny Ching was certainly out to prove something, after finishing 2nd to Australia’s Travis Grant the previous day. And it was the Californian who led from start to finish for a comfortable win. The battle for 2nd was a close contest between Georges Cronsteadt and Connor Baxter. Meanwhile, Grant backed up his Elite Race victory with a first place in the 14′ division. On the women’s side, a super fast Jenny Kalmbach took out first place.